sometimes i use mas' insane work schedule as an excuse to take a break and head to the mountains. when we lived in eastern north carolina i was spending what seemed like half of my time in asheville. but then we moved to dc and i settled in. found local clients. found local friends. and now i'm making it back, what seems like, quarterly. i'll fill you in on the details little by little over the next few days but the BEST PART EVER was the weather. 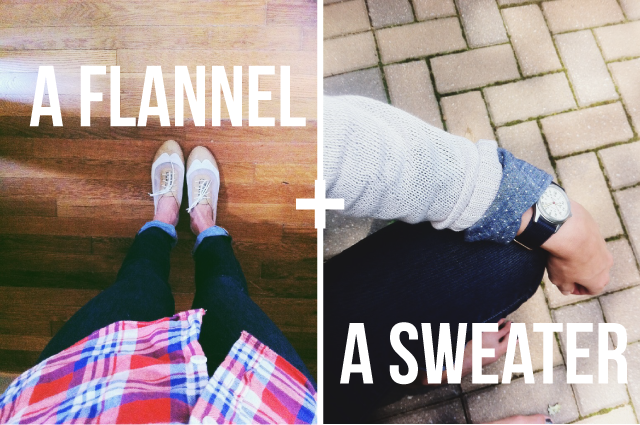 my friends, i lounged around in jeans and flannels and light sweaters OVER BUTTONDOWN SHIRTS. i went for runs and did not want to kill myself. i had coffee, of the non-iced variety, in the afternoon. oh dc, you've cooled, but you're not quite where i want you. winter can honestly not come soon enough ... though i would be willing to settle for fall. Wait, where in eastern North Carolina?? My family comes from Bertie County, a place few have ventured. Both of my grandmothers are from Edenton, though, next door in Chowan county - a place much more amenable to visitors. @ Maggie ... Southern Pines for 18 months, right before DC. It's really CENTRAL NC I guess, but we thought we were going to be living in Fayetteville, which is more eastern ... at least to those of us that grew up in Asheville. i could really use a whole new fall wardrobe.